Cherry is a hardwood that is found all over the world. It has many different varieties with different properties. It has been bred for beauty, or to bear stone fruit like cherries. The smoke from Cherry Wood Chips is tart and fruity. It is best when used for smoking red meats like venison and beef. It is fantastic with pork, and even poultry. It is great for smoking fruits and vegetables too. To use your Cherry Wood Chips, soak them in water, or apple juice, ale, wine, cider, chardonnay, pinot noir, or even pineapple juice for added flavor. Remove them from the soaking liquid and load them into a Napoleon Smoker Pipe. Place the Smoker Pipe onto the sear plates of your grill to warm and begin to smoke. Or you can throw the Cherry Wood Chips right on the charcoal, or directly into the integrated smoker tray on the Napoleon Prestige PRO Series PRO665RSIB Gas Grill. Once the chips begin to smoke, place your food onto the grill and close the lid or doors. 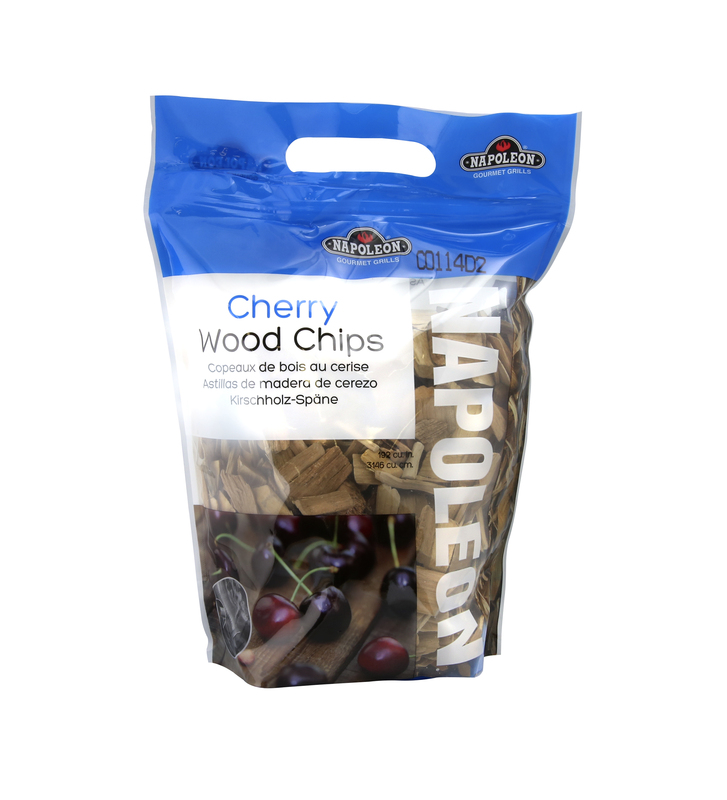 To get the most flavor with your Cherry Wood Chips, remember to keep the lid closed while smoking to keep the smoke in.